1. Mix the first four ingredients in a bowl until thoroughly combined. 2. Pour into pie crust. 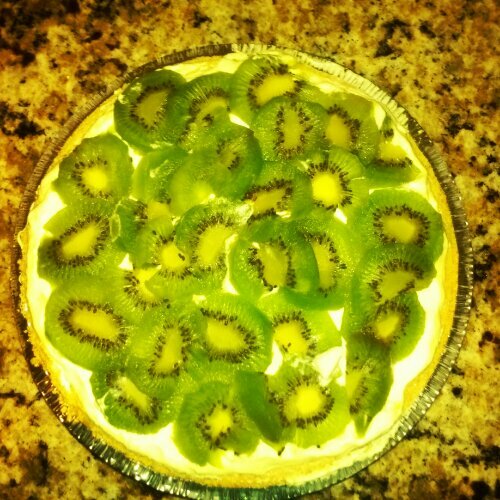 Top with kiwi slices. 3. Refrigerate for a minimum of 4 hours. Enjoy!